Organic, textured, layered. 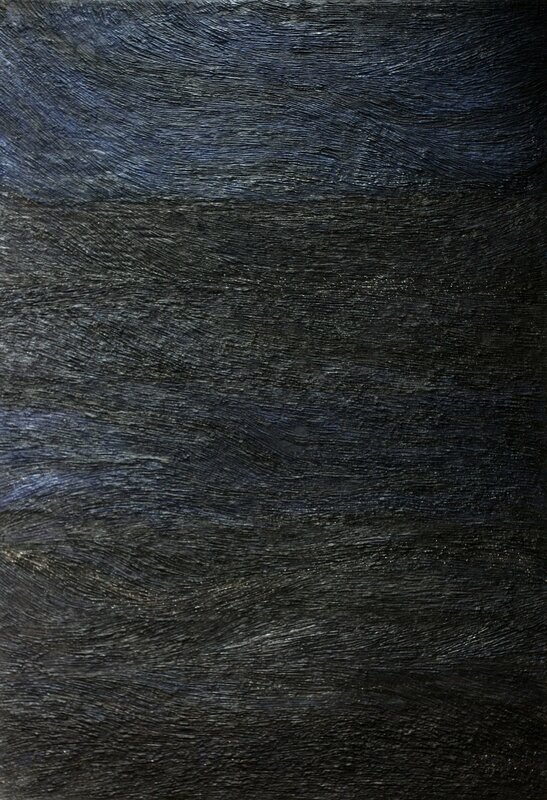 The paintings created by German artist Sabine Portela defy convention and even classification in a specific category. Reminiscent of natural materials and strange landscapes, the artworks have a distinctive character and a rustic paint texture. Their appearance alludes to the artist’s technique as well as to her creative process. “I see them rather as living objects, as though they were themselves organisms that grow and develop in the course of their becoming,” explains Portela. Using minerals, cement and metal or stone dust instead of traditional paint, the artist “works” each painting in a similar way to a craftsman. The experimental process becomes a creative and organic experience. “Not unlike a farmer I have ploughed my way through this created soil, leaving my mark, my trace, in the substance.” Each painting features a special blend of materials and techniques. Some have blade marks, while other boast oxidized areas. Seen under different lighting conditions, the artworks transform into slightly altered versions of themselves, mirroring the way natural landscapes change over the course of a day. Photographs© Sabine Portela.